New Hampshire currently has a TEFRA-like program and two HCBS 1915(c) waivers that serve children. All three programs waive parent income. An overview of New Hampshire's programs can be found on its Medicaid Disability page. 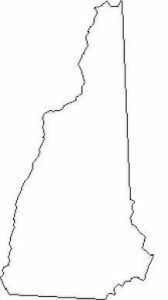 New Hampshire also has two adult-only waivers, BDS Acquired Brain Disorder Services and Choices for Independence. Income Waiver: Yes, the program is based on the child's income only. In the past, a family fee was charged. We have been unable to verify if these fees have continued. Online State Information: Children's Medical Assistance or this booklet. How to Apply: Apply for Medicaid and mention you want to apply for the Home Care for Children with Severe Disabilities program. Additional instructions are in this booklet. Description from medicaid.gov: Provides community participation services, residential habilitation/personal care services, respite, service coordination, supported employment, assistive technology support services, community support services (CSS), crisis response services, environmental and vehicle modification services, participant directed and managed services (PDMS) formerly consolidated developmental services, specialty services, wellness coaching for individuals with autism, DD and ID, from 0 - no max age. How to Apply: Call BDS at (603) 271-5034; (800) 852-3345, ext. 5034; or TDD (800) 735-2964. Waiting List: New Hampshire has 78 children and 151 people with developmental disabilities on its waiting list. Target Population: Children with developmental or intellectual disabilities, including autism. Description from medicaid.gov: Provides enhanced personal care, consultations, environmental and vehicle mods, family support/service coordination, and respite care for individuals with autism, ID, DD, ages 0-21.